Firebreather Fitness is Greg Amundson's program to help you get into the best shape of your life-physically, mentally, and spiritually. Former SWAT officer, DEA Special Agent, U.S. Army Captain, and founding CrossFit athlete and coach, Greg Amundson is a globally recognized leader in functional fitness conditioning and anti-inflammatory foods and diet. 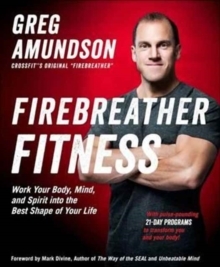 Known as CrossFit's "original firebreather", Amundson shares his secrets, advice, and the experiences that helped him forge his Firebreather Fitness-a fitness of body, mind, and spirit. Amundson's Firebreather Fitness program will help you align your physical, mental, and spiritual training so you can gain strength, unlock potential, and live a high-performance, super-healthy life. Firebreather Fitness includes* Integrated 21-day training programs that include innovative workouts, key mental drills, and warrior yoga to get you into top condition* Performance standards that keep your workouts challenging-and let you compete with athletes on your level* More than 40 exercises with clear technique photographs and advice* Scaling options to make workouts easier or harder, depending on your level of fitnessIt takes more than a hard body to excel at work, in the gym, and in life. Firebreather Fitness folds in the cutting-edge mental toughness training and time-tested spiritual practices that guide Amundson and the athletes he coaches. 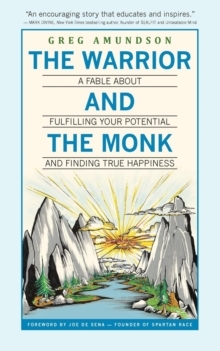 Amundson's smart and effective guides to goal-setting, pain tolerance, honing purpose and focus, and exerting control over your mental state offer invaluable tools to help meet any challenge. Packed with practical advice, vetted training methods, and Amundson's guided workout programs, Firebreather Fitness is a must-have resource for athletes, coaches, law enforcement and military professionals, and anyone interested in pursuing the high-performance life. Pages: 256 pages, Full-color interior with photographs throughout.